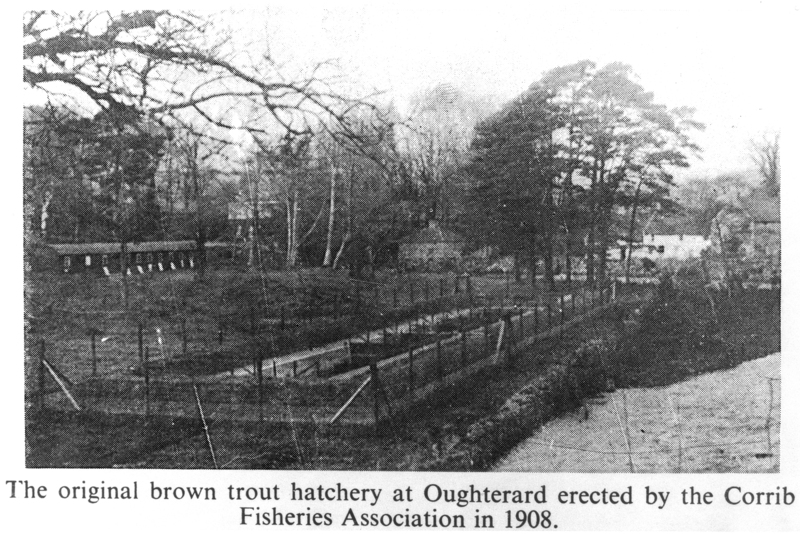 Oughterard was not only the first trout hatchery in Ireland but it was also the first salmon hatchery, commencing operations in 1852. 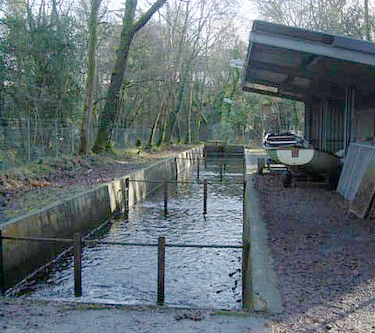 Of much greater significance is the fact that the first authoritative paper on hatchery management for Atlantic or Pacific salmon ever produced was based on the operation of this hatchery at Oughterard in 1853. 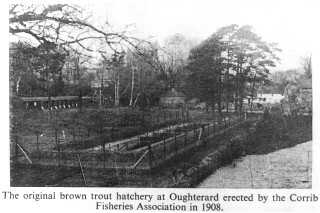 Furthermore through a series of events in 1853, the claim that Oughterard is the birthplace of salmon farming in sea ponds as practiced world wide to day can be made. Evidence to support this claim exists in the “Report ofInspecting Commissioners of Fisheries for 1853’. The report contained a special section on “ artificial propagation of salmon” as shown in the following extract – “the question of artificial production of fish has engaged much of the attention of the Inspecting Commissioners. They commenced to illustrate it practically by procuring from the Messrs. Ashworth (to whom Ireland is indebted for its introduction to this country), some salmon fry, which were produced for them at Oughterard in Galway, under the direction of Mr Rambsbottom of Clitheroe. These tiny fish were placed in a glass tank at the Great Industrial Exhibition in 1853, in Dublin. 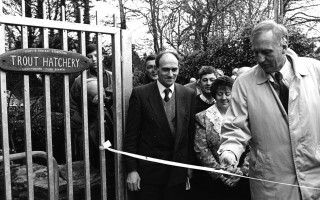 After this major event the fry were transferred to the Fishery Office where “ It occurred to us that a great desideratum connected with this question would be, ascertaining if possible, whether after the young fish had been produced they might not be kept within the control of the person whose skill and industry would entitle him to the advantages that might be derived. Following this line of investigation they created a “ sea pond” within which they placed the fry to grow. The Commissioners reported, “ They are watched by many persons anxious for the result of this experiment, and appear to be thriving well, and have increased considerably in size: Very small fish pass in through the grating from the Harbour, and the young salmon are seen feeding upon them. If this experiment should succeed in demonstrating that salmon may be successfully kept under control until they attain to a size rendering them valuable from an edible point of view, innumerable enclosures may be made around the coast. These enclosures may vary in extent, according to circumstances, and by these means the artificial production of salmon may be come of vast importance.” Though this did not come to pass for well over a century it demonstrated remarkable vision. Finally it is possible, though further investigation is required to verify “that ova from this hatchery were the first to be transferred to the southern hemisphere in 1864. This information appears in “American Fish Culture”(1868) by Norris Thaddeus in which he discusses Mr Ashworth’s hatchery in Oughterard. Mr Norris states that by (1861-1862) “no less than a million and a half of ova were laid down” at this location. Further on in his article he reported that the first consignment of one hundred thousand salmon and three thousand trout eggs were placed in the hold of the ship “Norfolk” on the 21st of January 1864, destined for Melbourne, Australia. It will be interesting to find out which port the ship Norfolk departed from on the 21st of January 1864. A possible source of information is the “ Hobart Town Mercury” paper which published the results of this experiment based on the findings of the Vermount Fish Commissioners, Tasmania 1865. 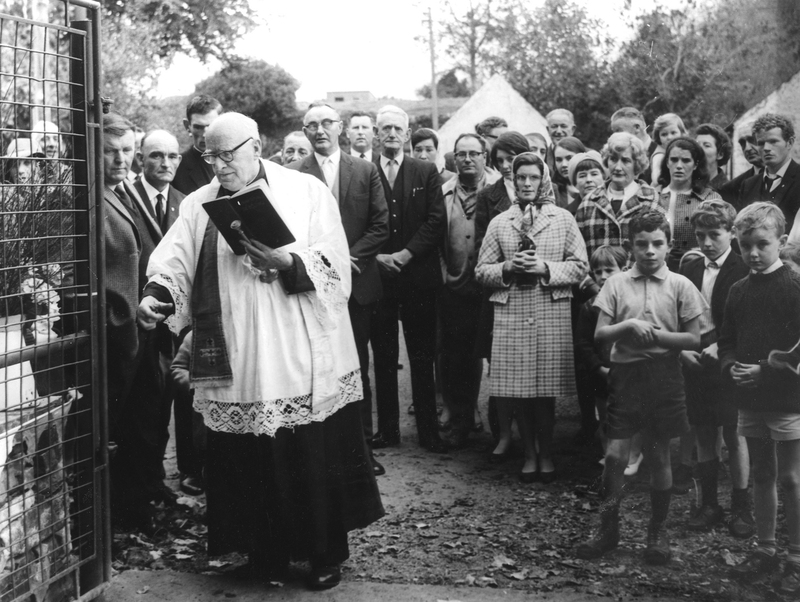 The information presented is but a small sample from the papers available relating to this venerable establishment. 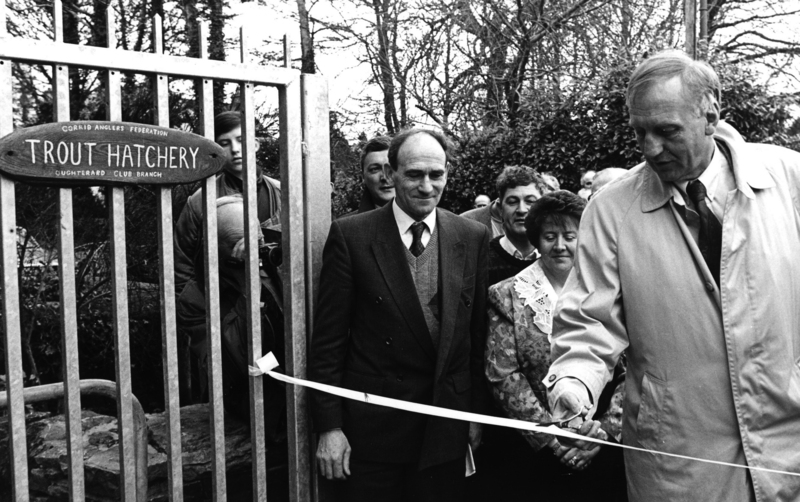 Following upon the refurbishment by the dedicated group of anglers in Oughterard it may now be possible not only to enhance trout stocks in Lough Corrib, but to resume the Hatchery’s educational role and adapt it to a tourist demand for historical integrity located in outstanding scenery. This page was added on 08/11/2010.